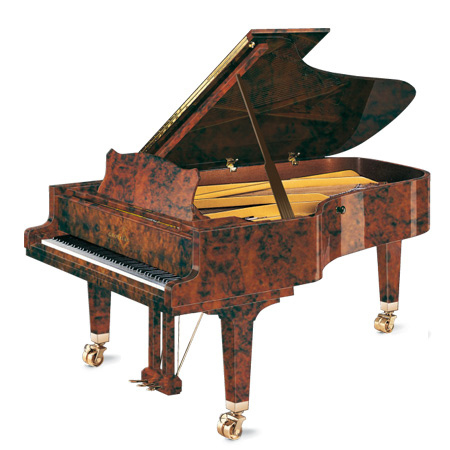 "Since 1928 the trusted home of the world's finest pianos"
Representing the finest piano values in each catagory. We’re the experts offering free lifetime support. World renowned for rentals by the day , week , month, or year. Check out our current bargains or order accessories. 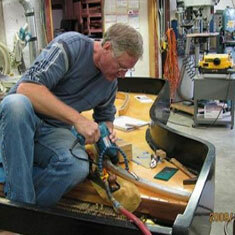 Our experts can tune your piano or completely rebuild it. When the choice is important the experts choose us. From Bach to Rock, private & group. 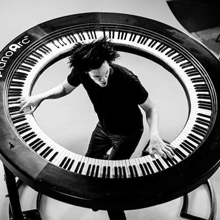 All the latest info in the piano universe. 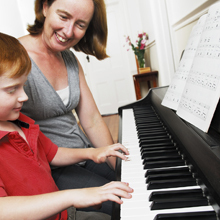 Sign up for exciting piano news, performance calendar, programs, and advance notice of our special sale events. 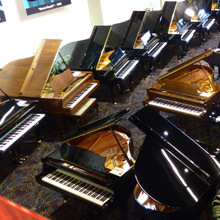 Hollywood Piano is one of the largest piano dealers in the Los Angeles Metro area serving the San Fernando Valley, San Gabriel Valley, Vetura County, Conejo Valley, Orange County, San Bernardino County, Riversdie County, Inland Empire, Lancaster, Palmdale, Burbank, Glendale, Pasadena, Hollywood, West Hollywood, Arcadia,San Moreno, Alhambra, Monterey Park,Baldwin Hills, West Covina, Walnut, Diamond Bar, Eastvale, Duarte,Hancock Park, Culver City, West LA, Santa Monica, Westwood, Brentwood, Beverly Hills, South Bay, Redondo Beach, Manhattan Beach, Palos Verdes, Long Beach, and North Hollywood. 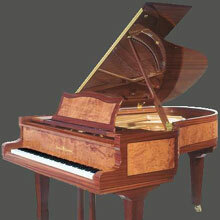 Hollywood Piano is the largest Baldwin piano dealer in the United States of America. 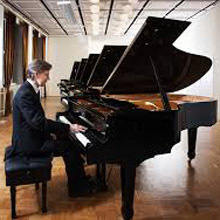 Our Company sells new pianos, used pianos, and is the largest piano rental agency in the Los Angeles metropolitan region. The models of new and used acoustic pianos that it sells include Steinway & Sons, Mason & Hamlin, Seiler, Estonia, Albert Weber, Brodmann ,Steingraeber, Sohmer,Knabe, Young Chang, Petrof, Pleyel, Weber, Bergmann, Falcone, George Steck, Hobart M. Cable, Brodmann, Schiedmayer, Bernard Shoninger, Kawai, Yamaha, Samick, Chares Walter,Shigeru Kawai, Schimmel, Perzina, Star, Hallet & Davis ,Kingsburg, Chickering, Kimball, Boston, Essex, Kohler & Campbell, Bosendorfer, Bechstein, Bohemia, Fazioli, Bluthner, Vose and Sons, Kurtzmann, Pramberger, Story & Clark, Hallet & Davis, Knabe, Wurlitzer, Adagio, Hailun, Ritmuller, Pearl River, Yamaha Disklavier, August Forester, Grotrin Steinweg, Sauter, Schulze Pollman and Hardman Peck. 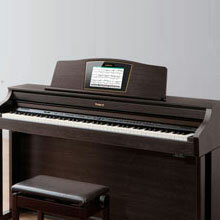 Also digital pianos from Roland, Kurzweil, Yamaha Clavinova, Casio, AvantGrand, The One, Dynatone, and Korg. 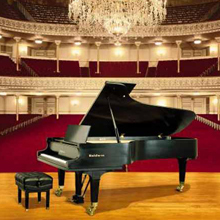 Finally, we carry player piano systems from Pianomation, Piano Disc and QRS, Pianoforce and Live Performance LX.